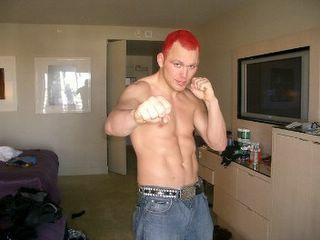 Chris "The Crippler" Leben and Red Truck Wine! Vatican Releases "Popes de Rome" Wine! Stay away from my Sauvignon Blanc, Mofo! Sauvignon Blanc, Cat-Pee, or Urine Idiot! Best Wine After A Drive-By Shooting! Foreign Grapes In Ontario Wine? Could you recommend a wine that would go well with the scent of chlorine. Sound like you done got corked! There's only one solution to this dire predicament. Head out to the Stelvin factory and have a huge, industrial strength screw-cap made for your head. Screw it on before you swim and your problems will be a thing of the past. Screw-caps are the way of the future and will eliminate the problems of clorine on your corky skin. By the way, that 1994 Sassicaia is just about at its peak right now! Don't wait too long or it will be fading to black, Jack!